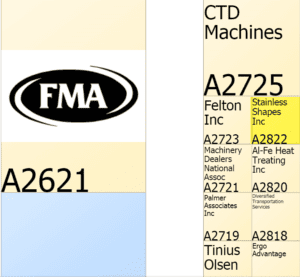 Stainless Shapes Will be at FABTECH 2018! Do you want to see what’s going on in the industry? Get caught up on what’s new in the industry, what’s going on, and where the industry is going? Come to the FABTECH Atlanta to see new designs, cutting-edge exhibits, learn from experts in the industry at the Georgia World Congress Center located at 285 Andrew Young International Blvd NW, Atlanta, GA 30313. Come see us at FABTECH Atlanta BOOTH A 2822 November 6-8. Show floor admission is complimentary if you register by Nov. 2, 2018. After the deadline and on-site, the fee is $50 (US). For more information, visit the FABTECH website.